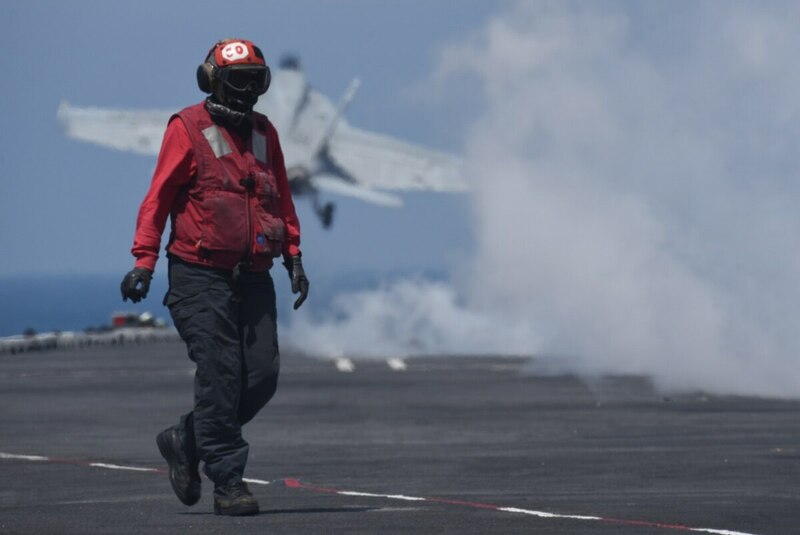 The anticipated return of the Harry S. Truman Carrier Strike Group to Norfolk on July 21 signals Pentagon success in revamping flattop deployment schedules. The Truman and her guided-missile escorts ― the cruiser Normandy and destroyers Arleigh Burke and Forrest Sherman ― are expected to come home after only three months at sea. Seven-month carrier tours had become routine, but in written statements to the House Armed Services Committee in February and April, Defense Secretary James Mattis and Marine Gen. Joe Dunford, the chairman of the Joint Chiefs of Staff, told lawmakers they wanted to implement what’s become known as their “Dynamic Force Employment” concept. Truman’s abbreviated deployment to Europe is a radical step toward the ultimate goal of restoring readiness so forces can be ready for a major conflict on short notice. It calls on Navy warships and other military units to become more agile and less predictable in their global deployments, leaving potential foes uncertain about troop movements while reassuring allies that America’s armed forces will continue to patrol potential hotspots. “The National Defense Strategy directs us to be operationally unpredictable while remaining strategically predictable. As such, select units from the USS Harry S. Truman Carrier Strike Group will return to Norfolk, Virginia, this week,” said Adm. Christopher Grady, commander of Norfolk-based U.S. Fleet Forces, in a Monday press release. The Navy is treating the Truman’s redeployment as a routine return to port, without expecting the fanfare and large crowds of family and friends along the pier that usually await warships after six months or more away from home. That’s partly because the Truman might redeploy in a few months or launch other operations from Norfolk throughout the year. "Let me be clear ― all returning units are 100 percent mission capable and will remain in the sustainment phase of the Optimized Fleet Response Plan, which means they will sustain warfighting readiness and be ready to surge forward or redeploy when called upon,” Grady added. The carrier Harry S. Truman and her strike group left Norfolk April 11, just a year and nine months after returning form a record-setting deployment fighting ISIS. 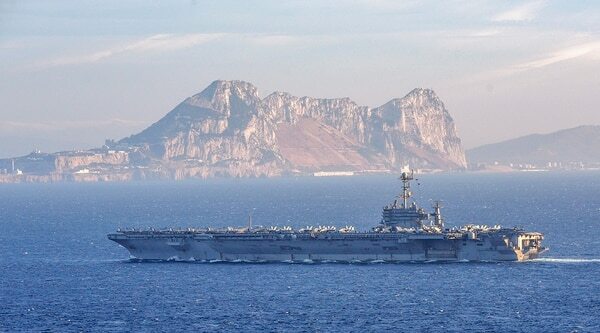 Unveiled in 2014, the Optimized Fleet Response Plan calls for carriers to undergo maintenance, deploy overseas and then return for a “sustainment” phase that typically lasted for about a year. It was tweaked last year to better align strike groups to 36-month cycles ― 16 months for training and maintenance, plus another 20 months of being ready to deploy or on patrol overseas. Before Truman’s latest cruise, that usually meant seven months overseas and another 13 months as part of a “ready force” to redeploy if necessary. Truman broke with that model, which means Norfolk will soon have two ready carriers in port. The George H.W. Bush returned last August and remains in her sustainment phase with a spell in the shipyard for maintenance looming in the coming months. This fall, the aircraft carrier Abraham Lincoln also is expected to join them after a nearly yearlong mid-life refueling and modernization overhaul. The Lincoln could be certified to deploy in late 2018, but commanders rarely discuss deployment schedules due to security concerns. Grady termed the Truman’s three-month tour “incredibly successful.” Unlike most carrier tours over the past 15 years, the carrier spent most of her time in the 6th Fleet’s area of operation straddling Europe and North Africa, never transiting the Suez Canal to join the 5th Fleet in the Persian Gulf. "The ship accomplished every objective established for its crew, from striking ISIS in Syria to expanding partnerships and exercising with our friends and allies," Grady said in the statement. Once back in Norfolk, the crews can conduct routine maintenance on ships, aircraft and equipment, pursue advanced training and warfighting certificates and spend time with their families, Grady added.